General sejm in Warsaw. Mostly Cossack issues. 1654. 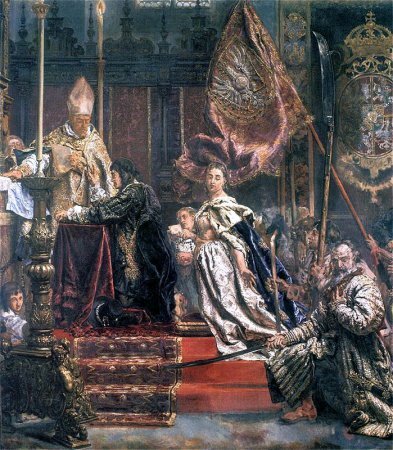 Sejm was convened in November 1653. The pre-sejm sejmiks were held in December 1653 and January 1654. The sejm debated from 11 February to 28 March 1654. Franciszek Dubrawski, chamberlain of Przemyśl, was elected the marshal of the sejm. 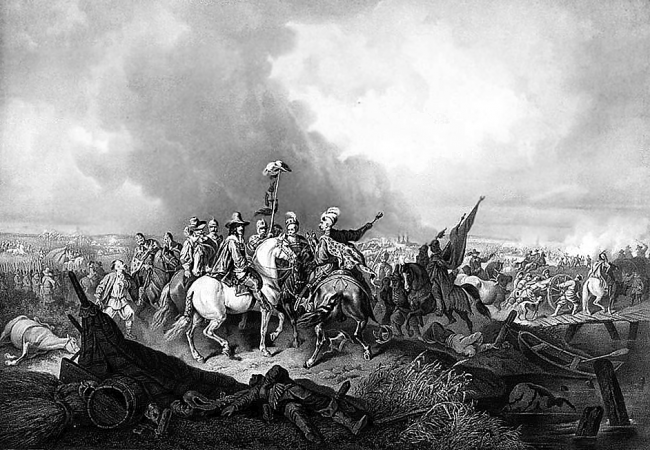 Sejm debated after a military campaign against the Cossacks, which took place in 1653 and ended at Zhvanets. Therefore the king demanded in his writs to sejmiks to reform the state military defence organisation, to improve collection of tax arrears and finally to repair the war damages. During the debate there were also discussions on the matter of filling the vacancies, especially the hetman office. No resolutions were adopted. See: S. Ochmann-Staniszewska, Z. Staniszewski, Sejm Rzeczypospolitej za panowania Jana Kazimierza Wazy. 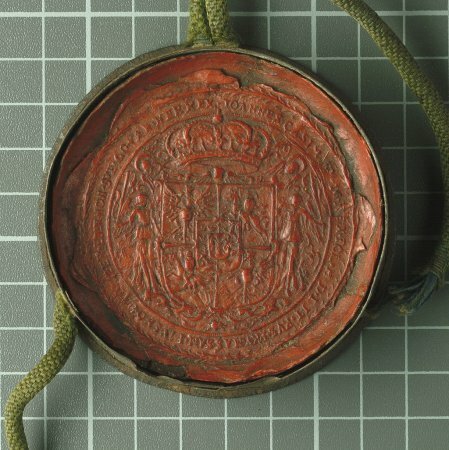 Prawo-doktryna-praktyka, [Sejms of the Commonwealth under the rule of John II Casimir Vasa. Law-doctrine-practice] T. 1, Wrocław 2000, s. 166-198. T. Ciesielski, Kampania żwaniecka 1653 r. [The Zhvanets campaign in 1653], [in:] „Studia i materiały do historii wojskowości” [Research and materials on the military history], t. 41, Białystok 2004; A. S. Radziwiłł, Pamiętnik o dziejach w Polsce [Memoirs of Polish history], t. 3 1647-1656, Translated and edited by A. Przyboś i R. Żelewski, Warszawa 1980, s. 408 i n. H. Olszewski, Sejm Rzeczypospolitej epoki oligarchii (1652-1763). Prawo-praktyka-teoria-programy [Sejm of the Commonwealth in the oligarchy era (1652-1763). Law-practice-theory-programs], Poznań 1966; W. Czapliński, Sejm w latach 1587-1696 [1587-1696 Sejm], in: Historia sejmu polskiego [The history of Polish sejm], t. 1, Warszawa 1984, red. J. Michalski, s. 217-299. F. Mincer, W sprawie przysięgi hetmańskiej na pierwszym sejmie 1654 r. [On the hetman oath during the first sejm of 1654], [n:] O naprawę Rzeczypospolitej XVII-XVIII w. Prace ofiarowane Władysławowi Czaplińskiemu w 60. rocznicę urodzin [Reforming the 17th-18th century Commonwealth. Research in honour of 60th anniversary of Władysław Czapliński], Warszawa 1965, s. 125-136; L. Kubala, Wojna moskiewska r. 1654-1655 [Polish-Muscovite War (1564-1655)], Warszawa 1910; S. Ochmann-Staniszewska, J. Staniszewski, t. 1, s. 166-198; J. Leszczyński, Dwa ostatnie sejmy przed „potopem” szwedzkim w oczach dyplomaty cesarskiego [THe last two sejms before the Swedish Deluge, seen with the Emperor’s evnoy’s eyes], „Śląski Kwartalnik Historyczny „Sobótka”, 30, 1975, nr 2.